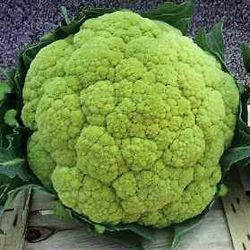 Typical Puglia’s cauliflower variety, more appreciate for its excellent taste. Erect plant with medium vigour and dark green leaves. Light green blossom, good consistence fine grain, it is few compact and close.